God Meets Ball: Grace Doesn't Win Championships! 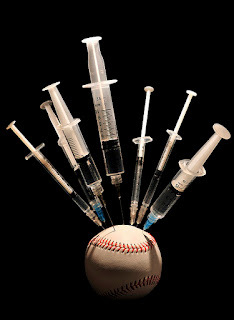 Major League Baseball is investigating the accusations, but had already been looking at clinics in that part of the world as suppliers of PED's. ESPN writer, Jason Stark, points out here that MLB commissioner has the power to suspend these players even in they don't actually test positive for a banned substance in their body. 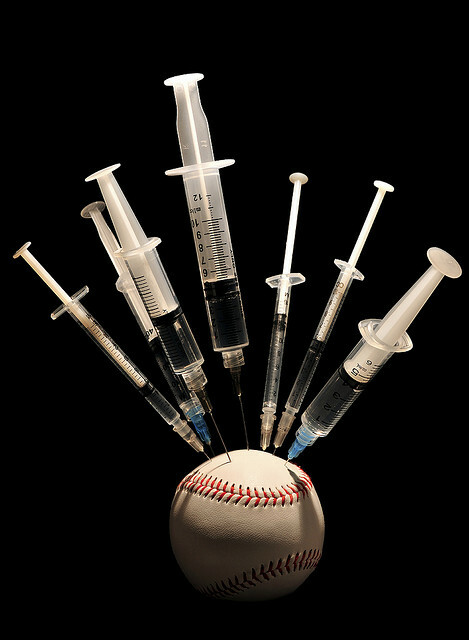 "Not one of those players has ever tested positive for any PED. But that's irrelevant in a situation like this. The commissioner holds the power to suspend players without a positive test if there is firm evidence that they used, or even possessed, a banned substance." Stark's article goes to ask, "what will it take for athletes to stop taking the risk of using drugs?" Alex Rodriguez has 5 years worth $114 million remaining on his contract with the Yankees, but according to this article if he's punished by MLB the Yankees may void the contract. Is that enough to persuade other athletes from attempting to gain an artificial advantage? I suspect that as long as success and reward is performance based, and it always will be in sports, people will seek whatever means possible to improve their performance. No one will ever be gifted a championship, and if they were the sporting public wouldn't be interested in it. We may see moments of grace, or sportsmanship, on the field but not as the core value of a major league. Competition is intrinsic to the definition of sport. Without God's gift there is no prize. No matter how hard we try. No matter how extreme our efforts. At the end of the day if God doesn't give us a gift there's no salvation. We cannot take credit for our salvation. This would make for a terrible sports league, but it makes a wonderful life. Every year thousands of athletes practice and train and even perform amazing feats, but the fail to win the championship of their respective sport. They might get injured. They might have bad teammates. Someone else might just be better. For all sorts of reasons their careers never capture the ultimate goal. But in life, God's grace covers those misfortunes. In life, God's made it possible for everyone to win. That's grace! Strangely, it doesn't mean that there's no cost on our part. Consider Jesus' brief story about a pearl in Matthew 13:45-46. God actually wants us to desire and prioritise His kingdom to the same degree as the drug cheats in sports. He wants us to risk everything to get it. But there are no shortcuts. He wants us to love Him and to be like Him. It's when we give God priority that God gives us the gift of entrance into His kingdom.